The Smoky Mountains are located on the west side of the Wood River Valley, the home of Ketchum and Sun Valley. The range extends south from the Sawtooth Range 40 miles to the flats of the Camas Prairie. 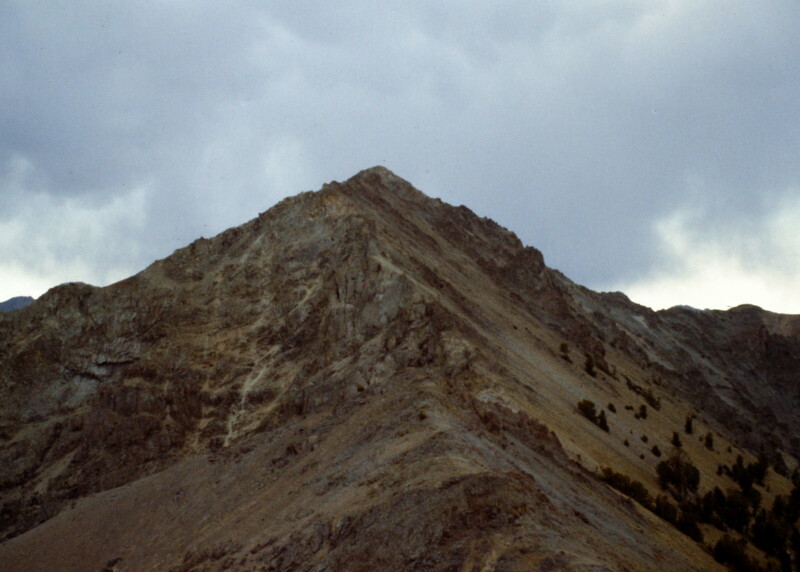 The range’s ten thousand foot peaks are all located north of Ketchum and all but one, Big Peak, is located on the main crest. 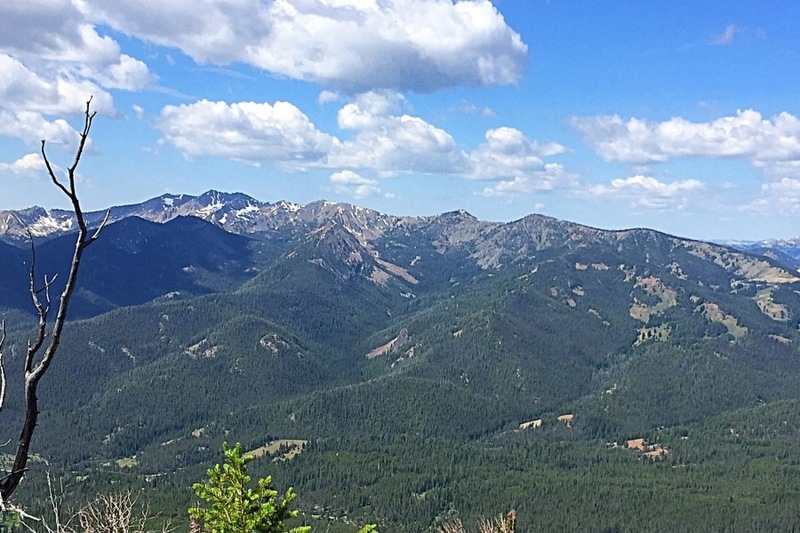 Bald Mountain, the home of the main Sun Valley Ski Resort ski runs is the range’s most famous peak, Saviers Peak is the tallest peak at 10,441 feet. While the southern half of the range is lower it contains a lot of interesting country and many worthwhile summits to explore. The Big Wood River and ID-75 form the eastern boundary of the range, while the South Fork Boise River and the Soldier Mountains flank the range on its western side. 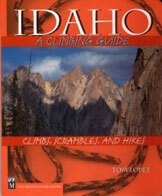 The range is covered on pages 210 to 214 in the book and you will find a lot of additional information on those pages. There are over 20 Smoky Mountains updates included on this site and more to come. The main Smoky Mountains crest from Galena Summit on tjr right to Saviers Peak on the left. 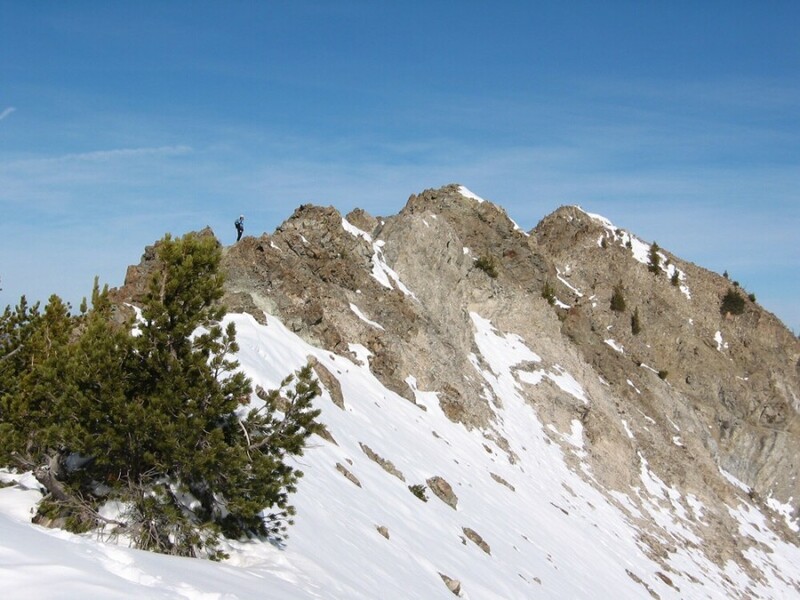 Saviers Peak from Titus Peak. 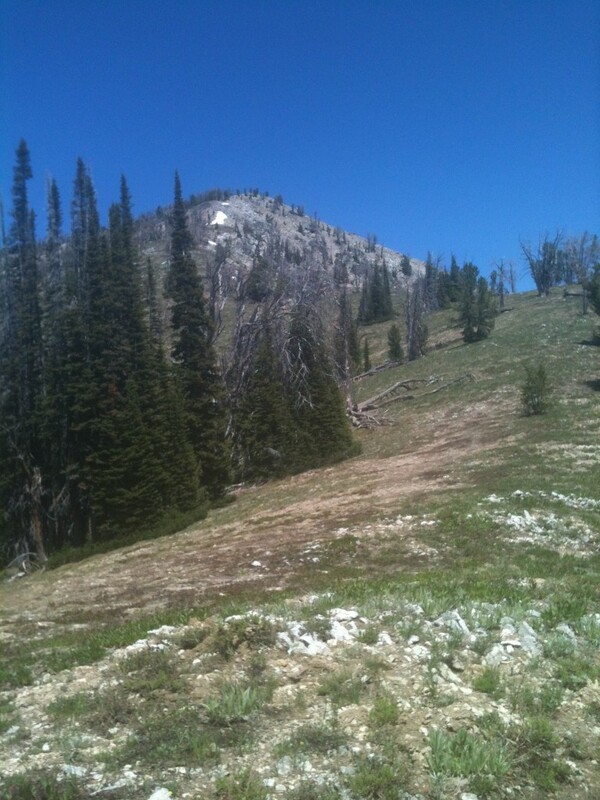 Norton Peak. John Platt Photo. Marshall Peak sits west of the main Smoky Mountains crest. The final stretch to the summit.